The 2015 GNRS AMBR Winner – Bobby Alloway’s 1933/34 Ford Roadster owned by Larry Olson. 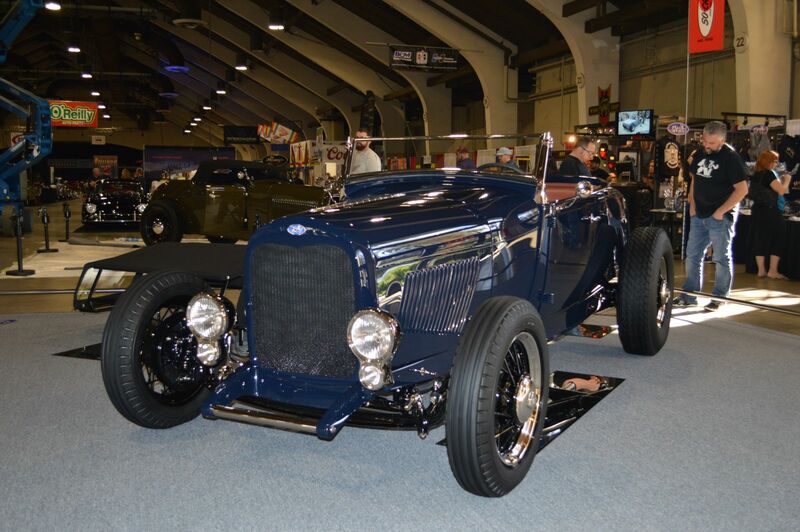 The Grand National Roadster Show is back again this weekend in Pomona, CA and there are 13 contenders for the AMBR (America’s Most Beautiful Roadster) Award, down from 18 last year. For the first time, the judges/promoters have allowed cars to return to compete again. It seems like there’s a twist in terms of variety this year, so the competition should prove to be fierce and exciting. 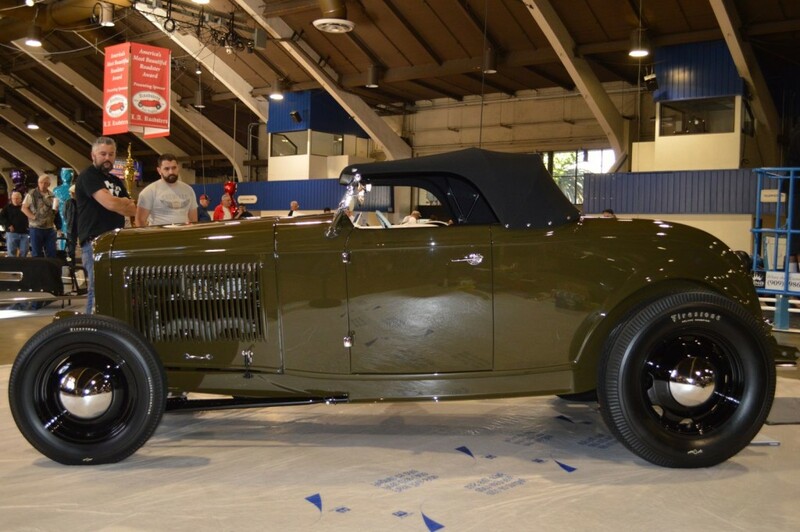 Chris Evans’ 1931 Roadster started out with just a Brookville roadster body and American Stamping repro 1932 frame rails. 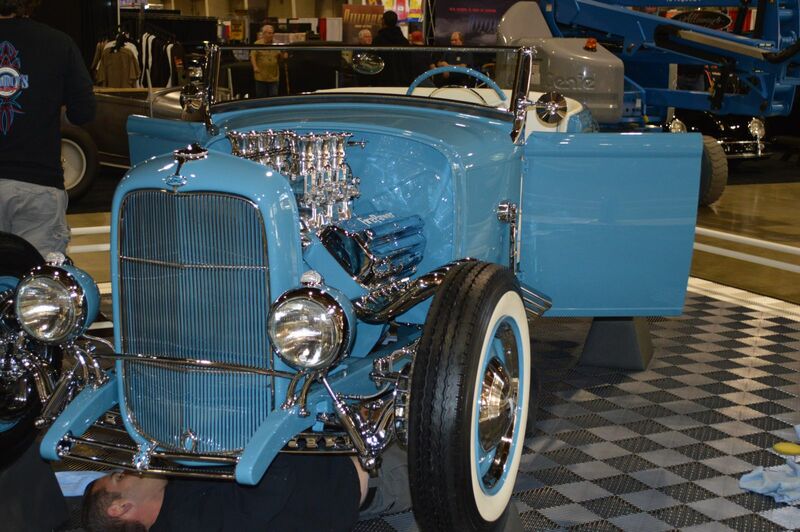 The entire build was done by Charly’s Garage in Mesa, AZ. Along with being an AMBR contender, James Hetfield is the co-founder and guitarist for Metallica. 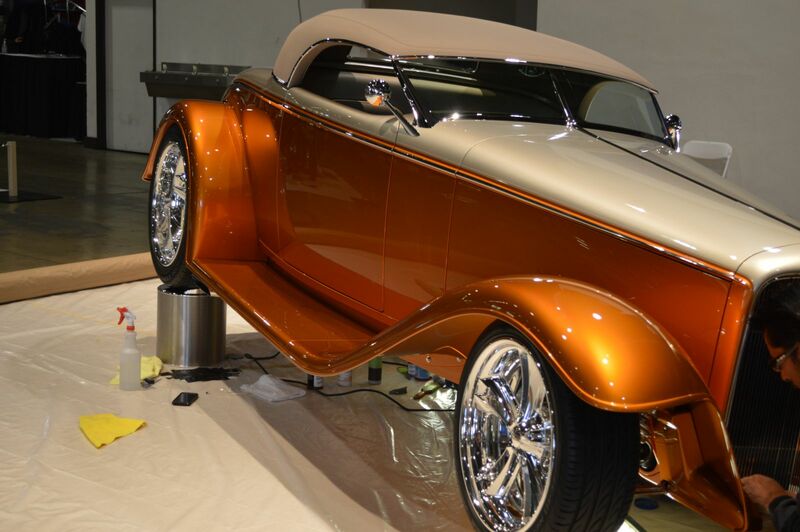 This 1934 Packard Roadster is another “one-off” collaboration between Hetfield and builder Rick Dore. 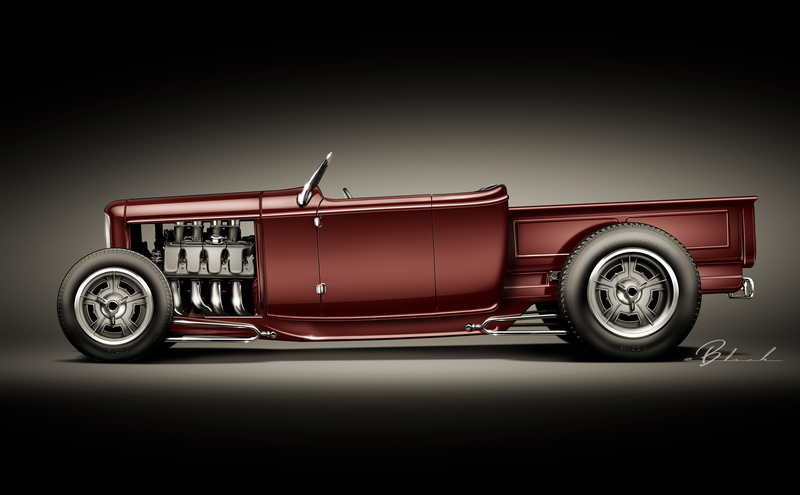 The body was built by Marcel Dulay and the car sports an LS1 engine hooked up to a six-speed automatic sitting in an Art Morrison chassis. This car comes from Concord, CA where Hollenbeck is known for show-winning paint on numerous AMBR winners and contenders. 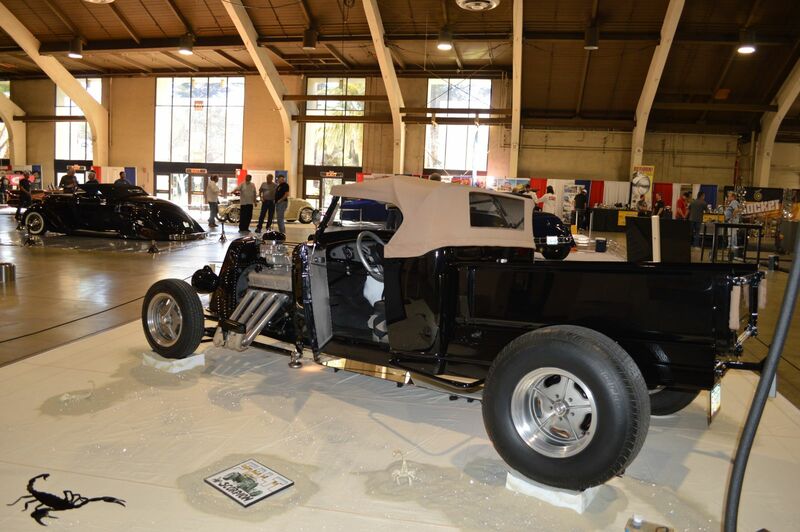 Cory Taulbert of Webb Automotive Art in Burton, MI handled the chassis fabrication. 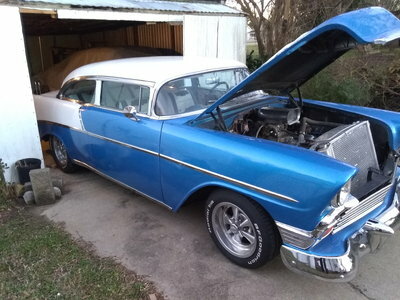 It’s equipped with an Edelbrock crate small block and T5 Borg Warner transmission. 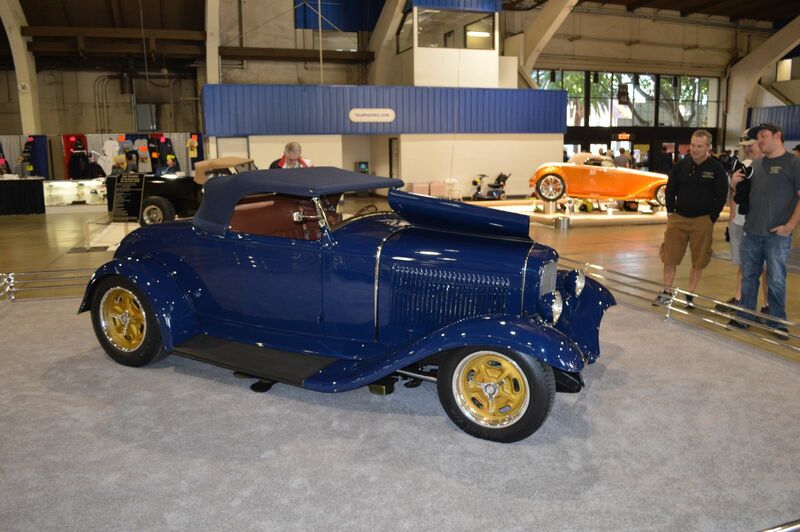 Lieb has owned this roadster for nearly 60 years and keeps re-envisioning it and evolving it. It was first built in 2010 by So Cal Speed Shop, but has been modified over the past five years by Jimmy Shine in Orange, CA. Nothing on this car is newer than 1963. 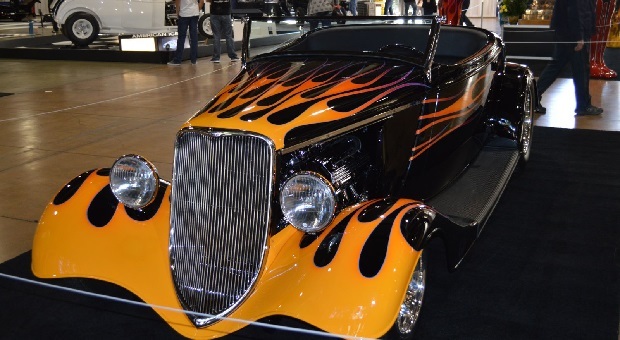 This car was originally built by the late Jerry Magnuson, Scott Lacy, and was finished up by Chip Foose for Magnuson. It previously competed in the 2010 AMBR competition, but was defeated. Matranga and this roadster first tried for the AMBR title in 1989 and came back in 1991 with a different color scheme and some changes. 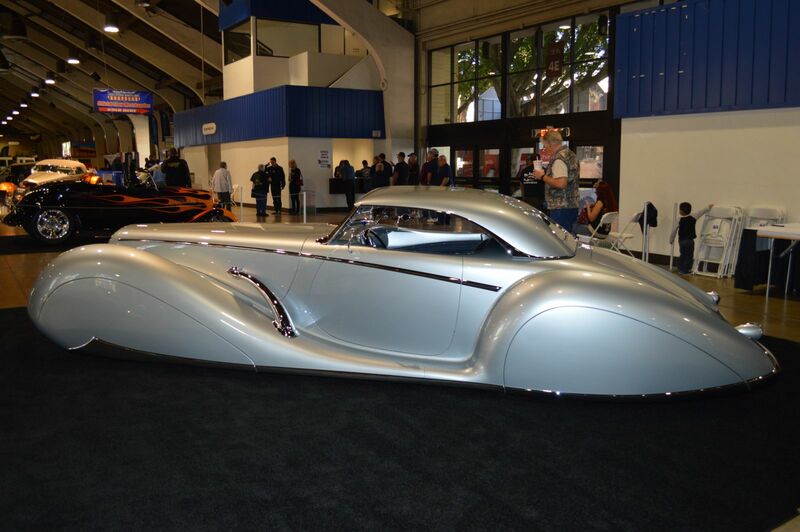 It was originally built by Dennis King at Kings Fabrication in Turlock, CA. 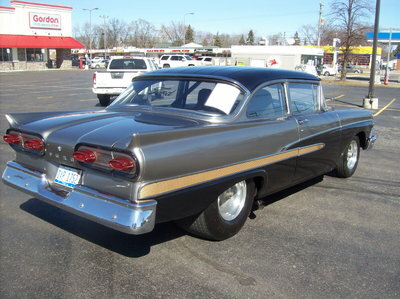 It features a 1957 Chrysler Hemi. The roadster has been restored back to its 1989 version and Matranga hopes this will be his year to win it. 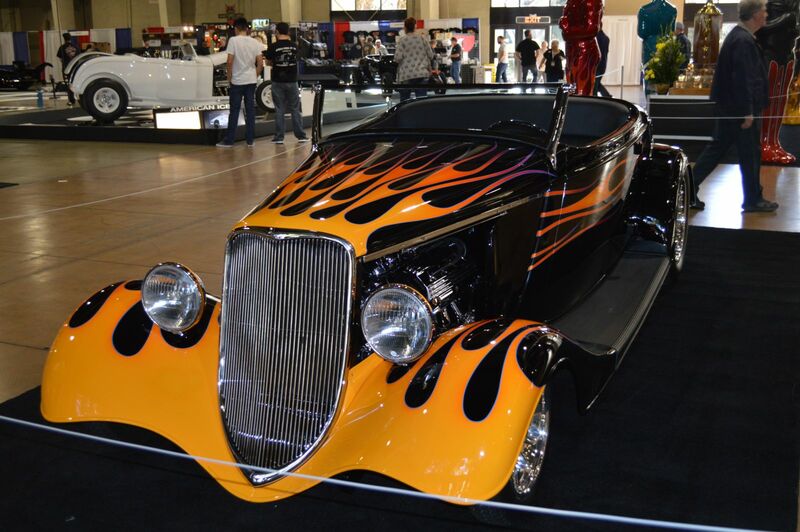 This red hot roadster was built by Hollywood Hot Rods for Rawlins from North Carolina. 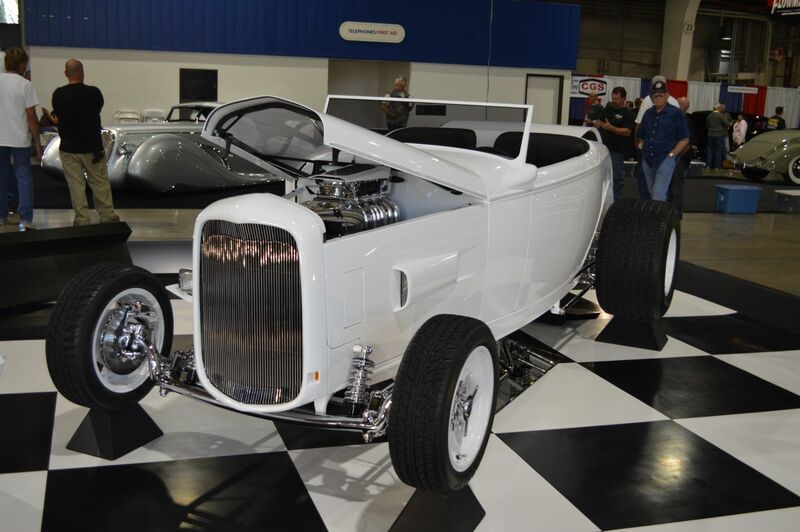 It started out as a Brookville 1932 roadster pickup body. Under the hood is a Jon Kaase Boss Nine Shot Gun motor. Many small details may go unnoticed, like the windshield that was an early Duvall and was reworked for this car, and the triangulated rear the looks like it’s a 4-bar setup. 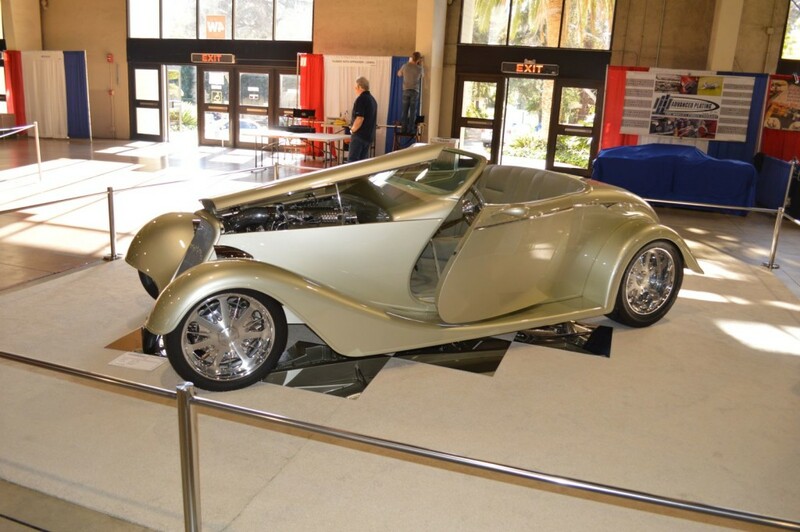 Ray’s roadster was entered into the competition back in 2011, and nothing has changed. The build was done by American Classics Limited in Auburn, CA (Ray’s shop). 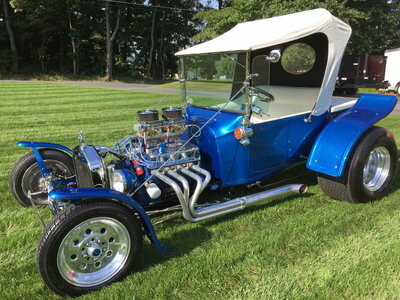 It comes equipped with a crate LS2 and a magnacharger, 4L65E transmission, and a 9-inch rear. 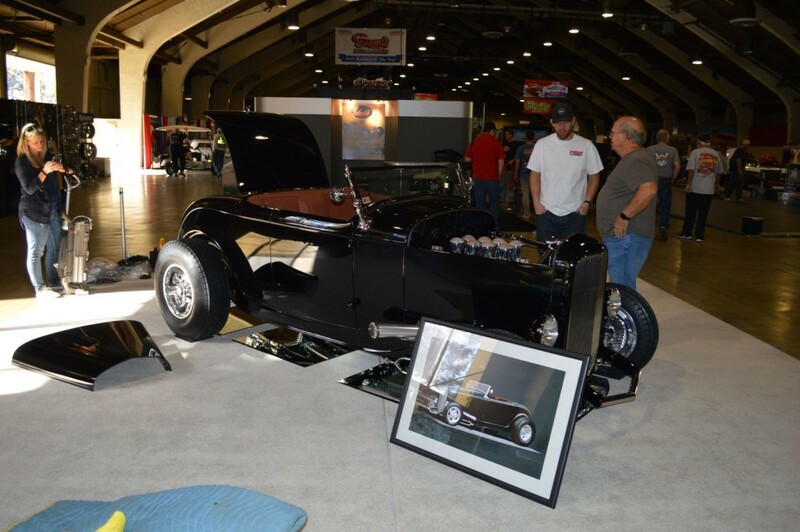 This jet-black high boy roadster was built by ASR Performance and Customs in Grass Valley, CA. It’s done in a 1960s drag theme and is powered by an injected Boss 302 Ford engine. This car is coming from Desert Hills, AZ. 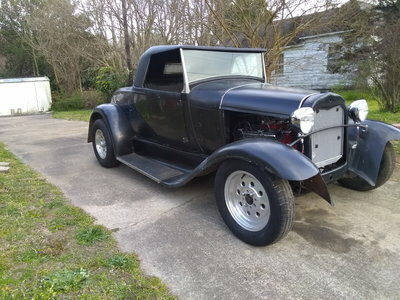 It was always Simm’s dream to have a roadster pickup. The big block Chevy is a 375hp 396 with a 700R4 and 9-inch rear. 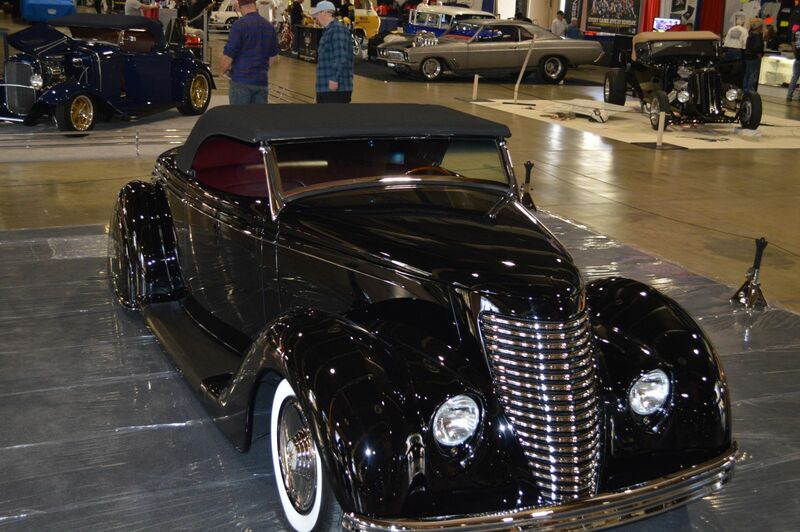 Stirnemann and his roadster come from St. Louis, MO. 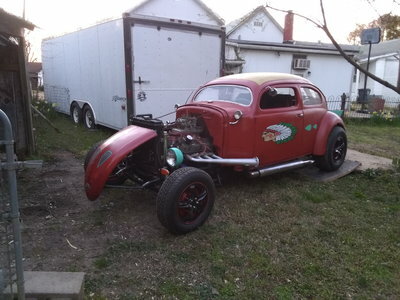 This build is a bit unusual for him, since he is well-known for his early Ford V8 builds. This roadster veers off course a bit for its traditional custom “tail dragger” theme, which has rarely been used in the roadster competition. 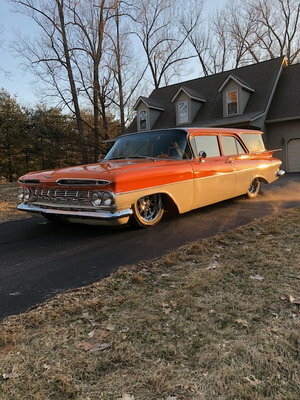 When Wright bought the car in 1992, he was surprised to find that it was the same exact car he fell in love with as a child while living in Irwin, PA. It’s equipped with a 351 Windsor, AOD transmission, and 9-inch rear. This car wasn’t on display during setup, so it’s possible that he wasn’t able to bring it. We’ll update over the weekend if this changes!